The wildlife of Laguna de Apoyo Nature Reserve includes many species of reptiles. Our volunteer Trolls Hummelgren documented two reptiles in a life-and-death struggle, as a brown vine snake, Oxybelis aeneus, bit and held tightly to a rosebelly lizard, Sceloporus variabilis. The lizard bit back, and eventually, the snake released its grip. Both scampered off and out of sight, so we don't know if the venom eventually caught up with the lizard and allowed the snake to catch. Furthermore, the lizard was considerably broader than this snake. Could the snake swallow this? Probably! 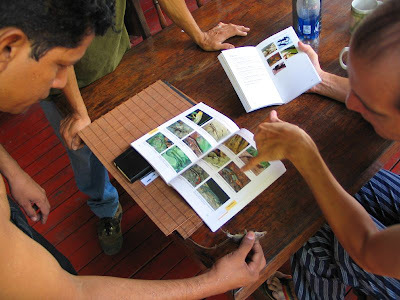 FUNDECI/GAIA staff discuss the identification of a lizard from Laguna de Apoyo Nature Reserve. Photo by Kolby Kirk. FUNDECI/GAIA conducts research and population monitoring on several groups of flora and fauna in Laguna de Apoyo Nature Reserve. We have developed a reptile and amphibian list of over twenty species. Wildlife photography opportunities can be found in all seasons. Conophis lineatus has a firm grip on Ameiva festiva in the garden at Estacion Biologica. Photo by Jeffrey McCrary. 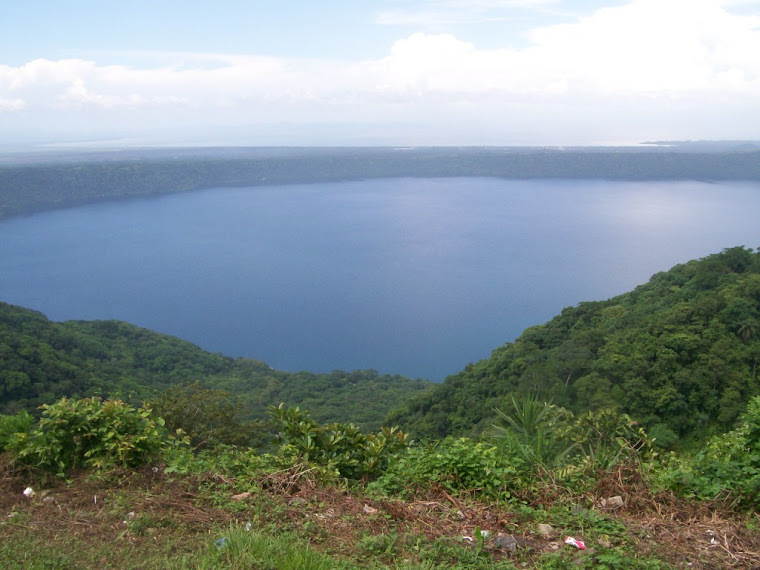 Would you like to volunteer in conservation of native flora and fauna in Laguna de Apoyo Nature Reserve? There is much to do, so please apply!